Cook anything, anytime, anywhere, regardless of the situation. Bake, cook and dehydrate without the use of electricity or gas, indoors or out. 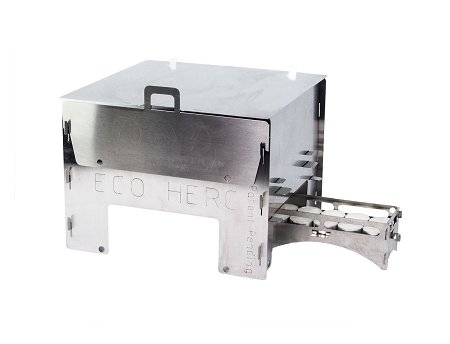 The ECO HERC™ (Home Emergency Radiant Cooking) Oven is designed to harness the thermal energy from tea light candles storing it in quarry stones. 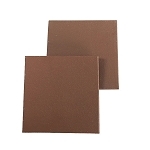 The patent pending design of the HERCules uses not one but two methods of thermal energy transfer. Like your conventional oven HERC uses convection and electromagnetic radiation (radiant) like the sun heats you when you step outside. 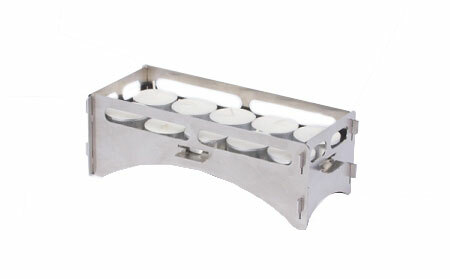 Fueled by tea light candles makes baking & cooking without the use of electricity or gas easy, economical and even fun! The ECO HERC Oven provides an alternative cooking method for your family in the events of limited resources and/or emergency situations. HERC Ovens are 18g brushed #304 stainless steel, laser cut so every oven is guaranteed to fit without fail. All parts ship with laser guard attached so your new Oven & Stove show up that way. For 1/2 the price and stores away in 1/20th the space of solar and you are not outside waiting on the sun, hoping those clouds don't come this way. For the price of one 20 pound propane tank (6-7 hours of cook time) @ $49.95 you can buy TEA LIGHTS (333 hours of cook time). For all the naysayers & disbelievers think about Boy Scouts and Buddy Burners! What we have done is not new, we just perfected it!